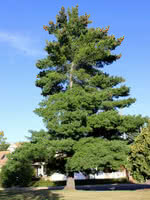 Scots Pine is a hardy, adaptable evergreen. 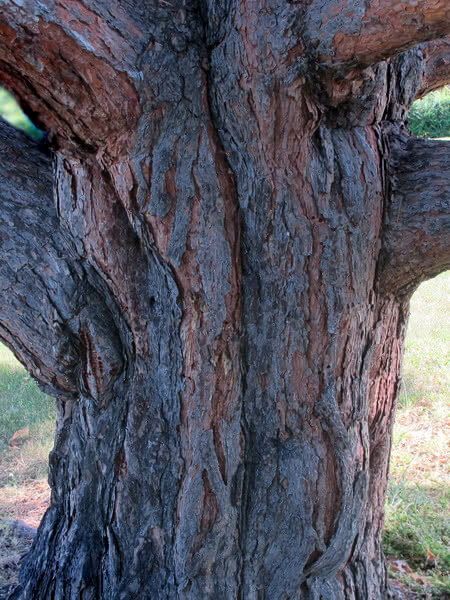 This large tree has an oval crown and distinctively orange bark when mature. 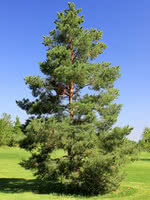 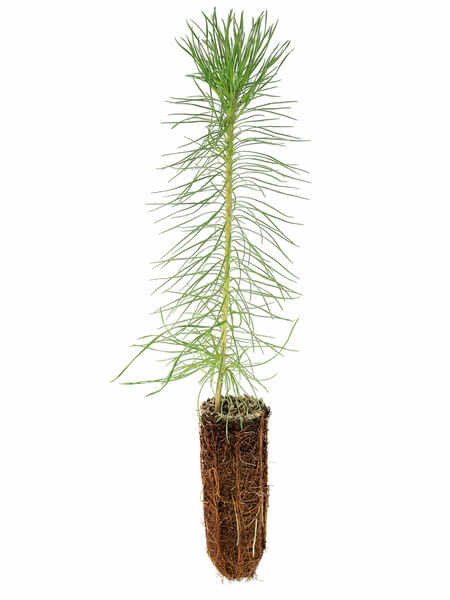 Scots Pine prefers dry to average moisture levels with very well-drained soil. 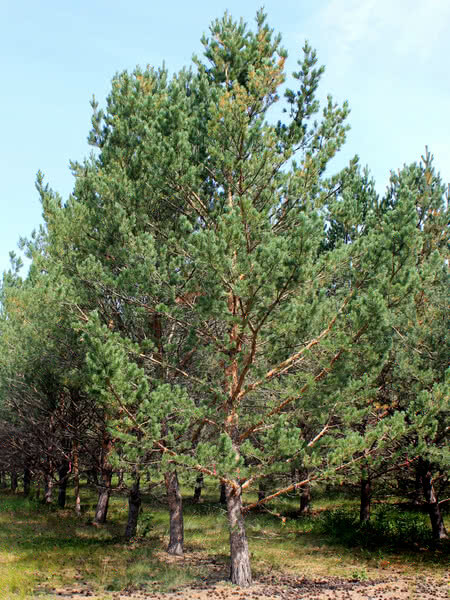 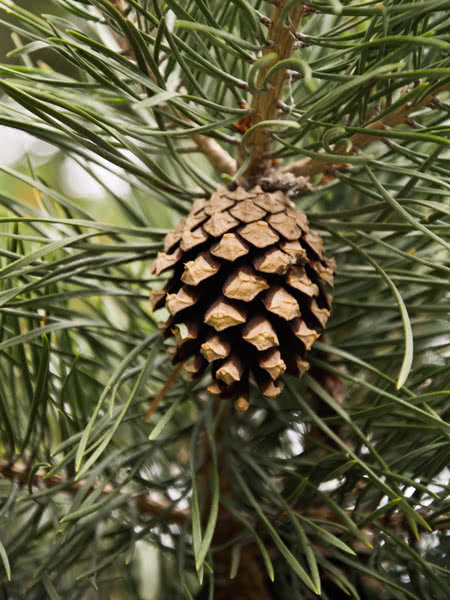 It is the most common pine tree used in shelterbelts and windbreaks. 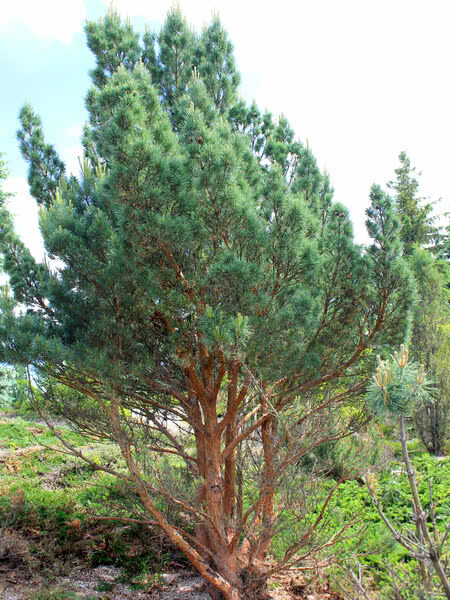 Scots Pine is also occasionally used as a Christmas tree variety.